radioactive decay of uranium. The discovery, say us researchers, it leaves open the possibility of the existence of aliens that feed on pure radiation. 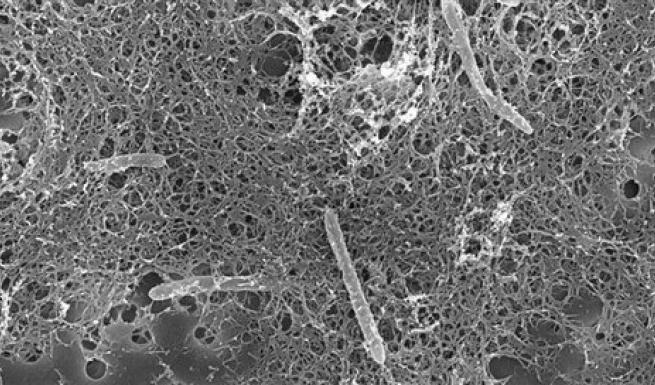 The unique bacterium, called Desulforudis audaxviator, was found living in an old gold mine in South Africa, at a depth of 2.8 km. “That caught my attention because it draws energy solely from radioactive substances,” says the website of the Science the ÎÏ„Î¹Î¼Î¯Ï„ÏÎ± is atri, astrobiologist, Space Institute of Science “Blue Marble” in Seattle. “Who knows if it’s the same with life on other worlds?” he speculates. Most organisms on Earth or take advantage of the sunlight to Ï†Ï‰Ï„Î¿ÏƒÏ…Î½Î¸Î­ÏƒÎ¿Ï…Î½ their food, whether they feed on photosynthetic organisms. The Desulforudis audaxviator belongs to a different, rare category of organisms, which derive energy directly from inorganic chemicals in the environment. The uranium and other radioactive elements that are present in small quantities in the earth’s crust emit radiation, which breaks down other molecules in the soil. Breaks down, for example, compounds containing oxygen and sulfur, thus producing sulphate ions, hydrogen peroxide, and other products that maintain stored chemical energy. This is the energy that builds for the survival of the wonderful bacteria: absorbs molecules and ions, resulting, sucking their energy and then spitting them out back into the environment. The is atri suspects that the same process could keep fed alien microbes even in worlds that are devoid of atmosphere. 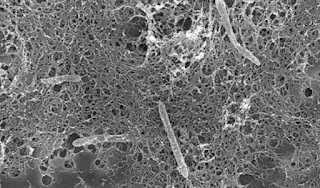 These microbes could make use of no radiation, radioactive decay, but the energy of the so-called cosmic ray, a shower of high energy particles that bathes everything in Space. The Earth has a magnetic field that acts as a protective shield for the cosmic radiation. But this is not the same with Mars or other inhospitable bodies of the Solar System. Using the available data for the cosmic radiation, the researchers faked the conditions on other celestial bodies, and found that, in all the planets except the Earth, the continuous flux of particles from Space would provide enough energy for the survival of small, relatively simple organisms such as bacteria. If the is atri’s right, the efforts to search for extraterrestrial life should be broadened to include worlds which have no magnetic field and was considered until today hostile to support living organisms. Who knows? Deep in the subsurface of Mars might be hiding the alien equivalent of the incredible Desulforudis audaxviator. The study of the ÎÏ„Î¹Î¼Î¯Ï„Ï is atri published in the Journal of the Royal Society Institute.